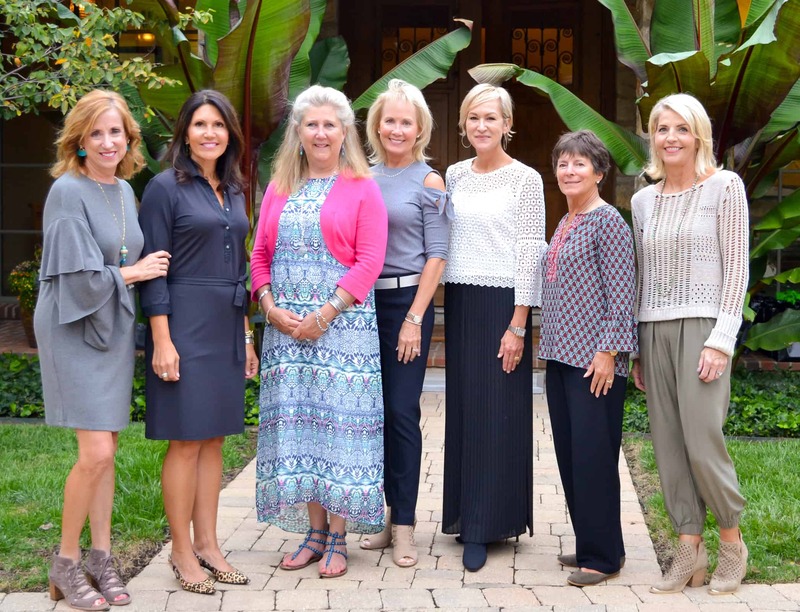 Thank you to all the attendees and supporters of last year’s event, the 5th Annual Gathering! Your efforts raised over $24,000 for the New Roots for Refugees program! Please make plans to join us this year for the 6th Annual Gathering. The New Roots for Refugees program empowers families to start farm businesses growing produce according to organic standards. 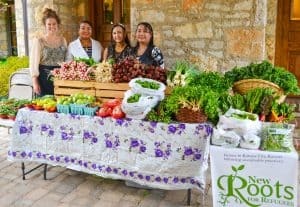 For the past decade New Roots for Refugees has supported families from the refugee community in establishing their own farm businesses primarily selling through farmer’s markets, CSA (community supported agriculture), and wholesale to local restaurants. Cant’ make it to The Gathering? Thank you to our generous and supportive 2017 sponsors! What is the New Roots for Refugees Program? 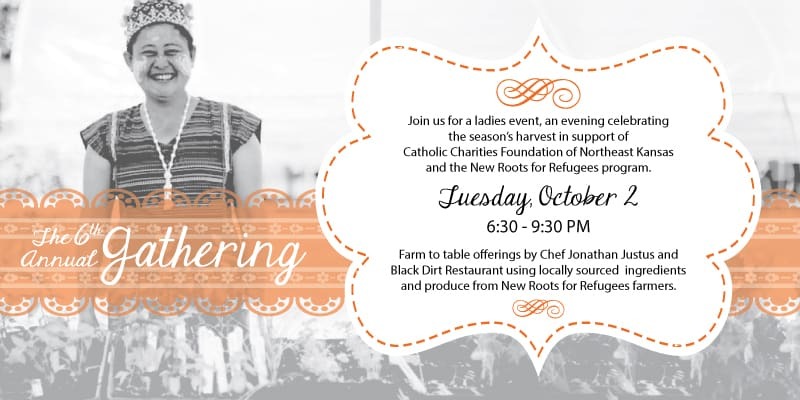 New Roots for Refugees was started by Catholic Charities in partnership with Cultivate Kansas City to help refugees start small farm businesses growing and selling fresh, locally harvested produce. Using their agricultural knowledge and experience along with their eagerness to put down roots in Kansas City, through the New Roots program, refugees are empowered to learn the processes and skills of farming in the Midwest by managing, marketing and selling the produce grown with their own hands. On October 2, 2018, The Gathering will celebrate its 6th anniversary. 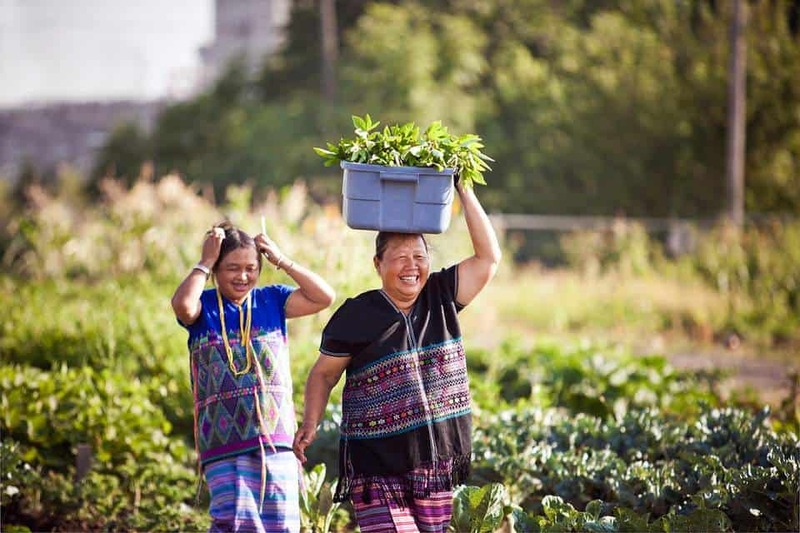 As in previous years, The Gathering will offer an opportunity for ladies to learn how to incorporate fresh, local produce, like that grown by the New Roots’ farmers, into healthy meals for their families. Funds raised from The Gathering support the New Roots for Refugees farmers by supplying them with the tools they need to successfully build and manage a farming business and prepare them for self-sustainability after they graduate from the program. Produce grown by the farmers will be used in the meal preparation for the event and will also be on sale the night of.